We are frequently told that Neo-Darwinian theory is true, and that there are robust mathematical models that demonstrate that fact. But is that really so? This week we are joined by Dr. Robert J. Marks II, Distinguished Professor of Engineering at Baylor University, for a discussion on his newly-published book, Introduction to Evolutionary Informatics, co-authored with the mathematician and philosopher Dr. William A. Dembski and the research scientist and software engineer Dr. Winston Ewert. Drawing upon his and his colleagues' work on information theory, and their analyses of naturalistic evolutionary models, Dr. Marks argues that there are logical limits to what such evolutionary algorithms can accomplish and that none of the vaunted models lives up to the claims made about it. Rather, each exhibits some form of "active information" unwittingly contributed by the "domain expertise" of its designers, thus (somewhat ironically) serving to further the case for intelligent design in nature. Dr. Marks also addresses AI (artificial intelligence) and argues, contrary to many voices today, that computers will never rise to the heights of human consciousness and creativity. Dr. Marks's eponymous honours include the Zhao-Atlas-Marks (ZAM) time-frequency distribution in the field of signal processing, the Cheung–Marks theorem in Shannon sampling theory and the Papoulis-Marks-Cheung (PMC) approach in multidimensional sampling. He was instrumental in defining the field of computational intelligence, and with his colleagues developed the temporal convolutional neural network, widely used in deep learning. In 2013 he was listed among "The 50 Most Influential Scientists in the World Today" by TheBestSchools.org. A Christian since 1970, Marks is married with three children, three grandchildren, two dogs and a "stupid horse". Julian Charles: Hello everybody, Julian Charles here of TheMindRenewed.com coming to you from the depths of the Lancashire countryside here in the UK. Today is the 18th of May 2017, and I am very pleased to welcome to the programme Dr. Robert J. Marks II, who is Distinguished Professor of Engineering at Baylor University. Dr. Marks’s eponymous honours include—and I wonder if I can pronounce these correctly, but I’ll have a go—the Zhao-Atlas-Marks (ZAM) time-frequency distribution in the field of signal processing, and the Cheung-Marks theorem in Shannon sampling theory and the Papoulis-Marks-Cheung (PMC) approach in multidimensional sampling. (I’m sure Dr. Marks will correct me if I have any of those wrong in a minute.) He was instrumental in defining the field of computational intelligence, and with his colleagues developed the temporal convolutional neural network, widely used in deep learning. In 2008 Dr. Marks appeared in the documentary movie Expelled—No Intelligence Allowed starring Ben Stein, and in 2013 he was listed among “The 50 Most Influential Scientists in the World Today” by TheBestSchools.org. A Christian since 1970, Dr. Marks served for 17 years as the faculty advisor to Campus Crusade for Christ at the University of Washington. He is also married with three children, three grandchildren, two dogs, and (very important) a “stupid horse”. Dr. Marks, thank you very much for joining us on the programme. Robert Marks: Ah, thank you; it’s a great honour to be a part of your series of broadcasts. JC: That’s very good of you to say so. Thank you very much indeed, and I’m glad you told me about the “stupid horse”, but I should think that most people are thinking to themselves: “Well, I’m not sure I want to listen to the rest of the interview until I know about the “stupid horse” ”. So, could you tell us? RM: Yeah, the “stupid horse”. You know, every little girl wants a pony, and so as my wife matured and we could afford one, she got her dream and bought a horse, which just stands out in the field and eats my hay all day, and sometimes I feel like a “horse butler”. I have to go and attend to all the needs of the horse and say: “Thank you very much; yes I’m glad to clean your stall. Anything else that you need?” So, I have a very low opinion of the horse, but my wife loves it and I love my wife, so it stays. JC: Wonderful. Well, I wish you’d told me that before, that you’re a “horse butler”, because I would have loved to have introduced you that way; that would have been absolutely wonderful. RM: Yes, I have to put that in my resume, actually. JC: Please do. Well of course we’re going to be discussing today your new book, which I believe is published this month. Is that right? RM: Yes, it came out in the early part of May. JC: Great, and it’s called Introduction to Evolutionary Informatics, which you co-authored with the mathematician and philosopher William Dembski and the research scientist and software engineer Winston Ewert. Now, I think the term Evolutionary Informatics will probably be a bit of a mystery to many listeners. Of course, I’ve had the benefit of reading your book in advance, but for the sake of those who haven’t come across terminology like that before, perhaps you could give us a brief description of what this book is about, and what you’ve sought to establish through it, essentially? RM: Well, let's see. I think that the main premise in so far as evolution is that there exists no hard science model of Neo-Darwinian evolution, and I don’t think there’ll ever be, but I think in science you never say “never”, because you never know what’s going to come down the tracks. But I can say definitively that there currently exists no such model. And the way this is established is through first defining what you mean by information theory, and second, looking at the attempts by the Neo-Darwinists—let’s call them—to establish evolution via models and via computer programmes, and why those are a failure in terms of undirected Neo- Darwinian search. JC: And you also have a section in the book on Artificial Intelligence (AI) saying something along the lines of however powerful that may become, it will never rise to the heights of human creativity. Is that right? RM: Yes, that’s exactly right. The human mind is above and beyond a computer, and much of the hype that goes on today about computers gaining consciousness like in The Terminator when Skynet gained consciousness and began to kill everybody, that isn’t applicable. And, how do you determine that? When you’re thinking about things, you always have to back to the fundamentals, and so if one goes back to the fundamentals of computers and computer science, I think that many of these conclusions about the limitation of the computer just fall out very naturally. JC: Though Terminator 2 is an excellent film, you must admit, even though it is pure science fiction from your point of view. RM: Oh, absolutely. I love Arnold [Schwarzenegger]. JC: How he ever came to be an actor, I’ve no idea, but he did a good job. RM: I’ve no idea, but many times I excuse myself from meetings, and I walk to the door and turn around and say: “I’ll be baack!” So, I quote The Terminator quite often. JC: Wonderful. Ok, so that’s what we’re going to be discussing, but I would first of all like to get a little more of an idea about your background Dr. Marks. Could you tell us a bit more about your work, and perhaps, most importantly for this podcast, the relationship between the science you do and the Christian faith that you hold? RM: Well, yes, I came to Christ when I was a junior in college, and it was a life-changing experience for me, and one that I’ve always been thankful to Our Lord that that possibility exists. I have never had a problem with the intersection of science and faith. In fact, I think that having the intersection of science and faith allows one to explore a broader realm of solutions than if one just adheres to total materialism or naturalism. So, therefore, the arena of solutions that one has is much broader, and I believe that in searching for the truth that there are things that exist outside of modelling, that exist outside of our understanding. That’s a topic for why the human mind will never become a computer, because there are things that we can prove that are not computable. In fact, we can prove things that are unknowable; we can prove they exist, we can also prove that they are unknowable—just astonishing. But, I’m not the only one; if one looks at the history, at all the great scientists—mostly from Western Europe—that founded science as we know it today, many of them were Christians. I think of Louis Pasteur, who says: “The more I study nature, the more I stand amazed at the work of the Creator, and to his tiniest creatures God has placed extraordinary properties”, and so people like Pasteur and others recognise the creation of God around them, and have celebrated it. I’m kind of a nerd, and I see God in things that other people don’t see. My wife will look at a beautiful meadow of flowers and she’ll say: “Oh, that’s so beautiful; I see God.” I look out and I see a meadow full of flowers. But, if you give me some good science or some mindbending mathematics, my response is immediately: “I see God in this.” One day I hope to write a book on mathematical apologetics; I know it will not be a best seller, but for all the nerds in the world that see God in this creation, I think it might be a big hit. JC: That’s very interesting, because that connects with some of the things James Sire said on this show: that some of things we see in reality are like creative divine artworks presented to us, and we can just ‘get’ the presence of the Creator through those. So, in a sense, what you’re saying seems to reflect that kind of approach to apologetics—an immediate experience. RM: Yes, and I believe everybody has different coloured glasses. Different people see God in his creation in different aspects. My wife likes the meadow of flowers; I like the math and science. JC: I think I’m probably with your wife on that one. I can’t imagine seeing a page of mathematics and seeing God in that. As you say, it’s a very personal thing. Now, what a lot of people, I think, would say, having heard you talk about your faith opening up possibilities for solutions (that perhaps materialists wouldn’t see), is that your faith is influencing your science. Many people would say that’s a bad thing, and that you’re not doing pure science; you’re doing faith plus science. RM: Well, let me tell you that one’s ideology, if one is searching for truth, will ultimately not be a factor. Let me give you an example: Alan Turing (who you’re familiar with, I’m sure) was a British scientist who helped break the code for the Nazi’s Enigma machine. Although they made a movie about him, The Imitation Game, it was not the main thing he did. He started computer science. 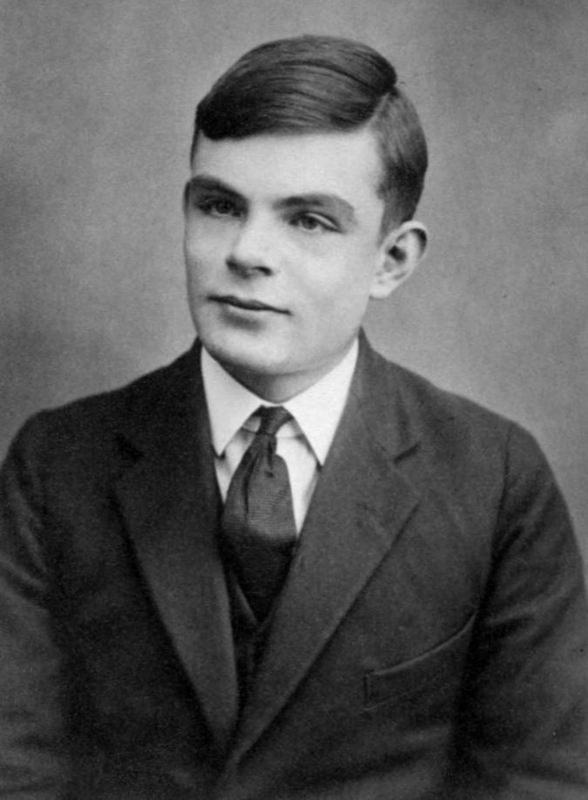 Now, it was well known, of course, that Alan Turing was gay, and that led—because of his unfortunate persecution—to his suicide, but the man was a genius because he founded computer science prior to computers existing. He did it on paper, and all the computers we have today can be traced as generalisations—not even generalisations but special cases of the Turing machine. In other words, you can do stuff on the big computers we have today that you can also do [the same operations] on Turing’s original machine. So we haven’t got better; we’ve simply got faster, if you will. specific ideology, his pursuit of truth led to a result contrary to his initial purpose. I believe that’s also the case with Intelligent Design work. Eventually the truth is going to win out. The ideology that drives the research, if you will, doesn’t matter. JC: Yes, that makes a lot of sense, and, of course, looking back at history, you were saying about famous scientists from the past who have been Christians, you would have to write off all their work, wouldn’t you, as a consequence of that kind of criticism? So, I agree with you. Yes, it doesn’t really matter what your motivation is so long as you are geared towards finding truth as the answer. Now, you mentioned Intelligent Design. That’s often conflated in the media with Creationism, by which I think they usually mean theories primarily guided by scriptural interpretation. How would you distinguish Intelligent Design from that kind of Creationism? RM: Well, Creationism, as I understand it, looks at Genesis and attempts to make sure that all history and science conforms to Genesis. Those involved in Intelligent Design, on the other hand, believe that as we pursue truth, we are going to find things that are consistent with the Christian faith, and if they’re not consistent with the Christian faith, then, well, maybe we have a problem there. That, I think, is the big difference. We are actually looking at truth believing that if our faith is true then anything we discover is going to be consistent with that faith. JC: Now, Stephen Meyer says that Intelligent Design does not commit to the God-of-the-gaps fallacy, where you have a gap in theory and you say: “Oh, we don’t understand that; therefore that must be caused by God.” But he says that Intelligent Design really argues from what we do know about design in ordinary life. Do you agree with his argument? RM: Yes, I believe that the complexity that we observe around us in daily experience cannot be explained by a blind search, a blind Darwinian sort of process. So yes, absolutely. JC: Ok, so we’re going to be looking at these evolutionary models, but before that I want to ask you a question about your approach to this. Am I right in thinking that you’re not saying that evolution does not happen and has not happened, but rather you are critiquing the models that are out there, and saying that they are essentially not up to the job? RM: Exactly, I’m looking at the models that have been proposed by the Neo-Darwinists, and we’ve analysing those and showing that they won’t hold water. JC: Ok, good. So we’ll turn to the book. The first thing that I want to say about this is that I enjoyed the book very much. I think it’s an extremely interesting book, but I have to say I don’t think it’s easy. I can see that you’ve aimed it at the non-specialist, of course, but I think it’s true to say that it still does require a fairly high level of mathematical literacy, at least by high school standards, to get the most from it. On the other hand, you do provide many descriptions and illustrations to help people—who, like me, have rather distant memories of our high school maths—to get the gist of what’s being said. So I certainly think it is a very rewarding book, but not always easy. Do you think that you have got the balance right? RM: That’s always a good question. I think Einstein said: “Explain things as simply as possible, but not simpler.” We’ve attempted to do that in the book, but can it be made simpler and more accessible? Yes, I think it can, but that’s going to take some head scratching. JC: Yes, I wouldn’t envy you the task. I just wondered if you could have done what Michael Behe did in his book Darwin’s Black Box, and actually box off some of the more technical sections. RM: Well, we didn’t box them off, but we did put little daggers by all the places that could be skipped that are kind of nerdy and mathematical, so there are entire sections and foot notes with little daggers by them that said: “You can skip this.” I think we maybe mentioned that we were motivated by Behe’s book. JC: I think I had an earlier copy, so maybe you added that later, did you? RM: Yes, that could have been. JC: Ah, that explains everything. RM: But currently in the in-print version everything is daggered off, and I did this because when I read Behe’s Black Box—I’m not a bio-chemist; I’m an engineer—I wasn’t following some of the technical details, and him doing that really helped me to understand the book without getting into the nitty gritty details, so we were motivated by that in his book to do exactly the same thing in this book. JC: Ok, so I want to ask you about the legitimacy of your project itself, because you are applying principles of information theory—very mathematical stuff—to these current models of evolution to see if those models stand up. But some people, I’m sure, would say that’s basically not legitimate, that you can’t model biological evolution on computers; it’s too complex to be modelled. What do you say to that? RM: Well, I say if somebody says that evolution is too complex to be modelled then they would be agreeing with the premise that there exists no hard science model of Neo-Darwinian evolution. So, they’re actually agreeing with me. I think that the underlying reason is a little bit different, but they’re agreeing that there exists no model, and therefore the Darwinian sort of evolution itself is not a hard science. JC: You’re saying that in order to be a hard science, it must be capable of mathematical modelling? RM: Yes, and many things in biology are modelled that way. I have a colleague here, Keith Schubert, who’s doing extreme life. He goes down into sulphur caves and looks at life in these extreme conditions, and he’s using finite automata theory in order to model that. In history there’s the Lotka-Volterra Predator Prey Equations, there’s mathematical epidemiology, and all sorts of modelling in biology. Every hard science has a model which is mathematical. Outside of biology, you have something called Maxwell’s Equation in electromagnetics, [classical] mechanics is modelled by Newtonian Laws, quantum theory by Schrödinger’s Equation, etc. So, all the hard sciences have mathematics as their foundation. Even soft sciences, like finance, use sophisticated models that win Nobel prizes. cool) said the honour of mathematics requires us to come up with a mathematical theory of evolution and either prove that Darwin was wrong or right. And that’s something that I agree with. In this book we have shown that the Neo-Darwinian model does not exist; I don’t think it will ever exist. RM: That’s exactly right, I’m not a biologist; I am an engineer. But engineers are different from scientists, because scientists celebrate their models and place them up on thrones like a queen and worship them. Engineers, on the other hand, make the queen come down and scrub the floor, and if she doesn’t work, we fire her. So, that is a big difference. Evolution has been a part of engineering ever since the advent of the computer. In fact in the '60s and '70s people were saying, "We can’t wait to get fast computers, because we aren’t able to show in the laboratory the process of Darwinian evolution, because it is so darned slow. " So they said, "Let’s get some computer programs able to show that Darwinian evolution works." Now, engineers have taken evolution and have actually applied it to some very interesting things. NASA scientists, for example, used evolutionary computation—there’s actually a whole field in engineering called evolutionary computation—and they have designed an antenna, which is flying around in space right now. They evolved this using a computer program. My first paper that had to do with evolution was, I believe, over twenty-two years ago, and I was administratively part of founding the premier evolutionary computing journal, the IEEE Transactions on Evolutionary Theory. So, yes, I’m not a biologist, but I do know the modelling, and I do know the theory of evolution, and that’s what we’ve been applying here. Now, if we’re going to use, as you do, Information Theory to assess these models of biological evolution, I think we need to have some basic idea of what Information Theory is. So, could you give us a basic kind of definition of what that is? RM: That’s an excellent question, because any time one talks about evolution or information, one needs to get definitions before one proceeds. That’s the reason I’ve tried to be careful of defining what I mean by undirected Neo-Darwinian evolution as the type of evolution that we’re critiquing. Information is a term which is thrown around a lot, but nobody sits down to define it, and if you think about it, you have to answer questions of the following type: if I take a DVD and I shred it, am I destroying information? If I take a book and I burn it, am I destroying information? When I take a picture with my camera and all that information is stored, we know that there’s a certain amount of bytes, am I creating information? Then again, if I erase that file, have I destroyed information? So, the answer to that question is this: it depends on your definition of information, and as a nerd I like to see it precisely defined so that we can talk about it without ambiguity. In the world of information there are two major theories. One is Shannon Information. Shannon founded Information Theory in one great paper in 1948, and we’re still using his technology today. Your cell phones use technology that was derived from Shannon’s 1948 paper [external PDF]. He was a guy that worked for Bell Labs – just an incredible genius. Solomonov Information Theory because there were three guys that discovered it independently of each other. In fact, the middle name, Chaitin, is the one that said: “Hey, in evolution we must come up with a model and prove Darwin’s right or wrong”. Chaitin is a true genius and maybe one of the most creative mathematicians, at least of my generation. [Kolmogorov Information Theory] has to do with actual structure, and it’s the Kolmogorov Information that is a part of our world, and is as much a part of creation as is matter and energy and time. So again we need to define exactly what we mean by that information. that book into a dictation machine, and then you were to destroy the book, would you then have destroyed the information? The information would have been transferred. JC: It’s not a material thing, is it? RM: Oh, this is the fascinating part: Norbert Wiener – great name for a guy – was the father of cybernetics, and he said information is information, neither matter nor energy. In other words, you can take information and you can write it on energy. (That’s what we use in our wireless communications, right? We have all this information flowing around in the airwaves on electromagnetic fields.) It can also be etched onto matter; that’s what a CD, or a DVD or a book is: information that has been etched on matter. But, the matter itself, and the energy itself, is not information; information lies separate from that. JC: It could even be knotted onto string, couldn’t it? Wasn’t it the ancient South Americans who used to have a way of writing just by tying knots in string? RM: I’m not familiar with that, but certainly that would be very close to the ones and zeros that we use, wouldn’t it? JC: Indeed. So, you’ve got this Shannon information, and – I’m going to abbreviate this – the KCS Information. Those are two different measures of information, is that right? JC: The first one, the Shannon one, has to do with probability, measuring it in terms of probability? The other one, the KCS, has something to do with making the smallest computer program that could describe the information? Is that the basic difference between the two? RM: Yes. Take KCS Information. You’re familiar with 3D Printers of course? Suppose we were to write a program for a 3-dimensional bust of Churchill—(a British example). Let's say we wanted to include everything. One of the most famous pictures of Churchill, I understand, was one of him scowling, that the photographer achieved by taking away his cigar. Now, we’re going to do that bust with all of the detail including the scowl, all the hairs and everything. And then we’re going to do a 3D-print of a bowling ball. Now, the question is: which of those programs is going to be longer? It’s going to be the one that generated Churchill’s bust. So, Churchill’s bust has more complexity than a bowling ball. That is the fundamental idea of KCS Information Theory measure. It measures the information content of things which exist. JC: Ok, but now this is different, isn’t it, from meaningful information? JC: Which comes under the term which William Dembski calls specified complexity. RM: Specified complexity, yes, exactly. JC: Could you tell us the difference between information per se and meaningful information? RM: Well, the idea is this. You could probably get a rock from a quarry that had as much detail as Churchill’s bust, and the program to generate that rock with all its bumps and crevices might be a program as long as generating Churchill’s bust. So, both of them would have the same, if you will, complexity. The difference is that Churchill’s bust is specified complexity. In other words, in the context of the observer—and this turns out to be very important in the work—there is meaning in Churchill’s bust, whereas there isn’t that much meaning in association with the rock. JC: I have an example here that might help. I was thinking of, say, our kitchen floor. If I had a hundred marbles in a bag and I just dropped them, they would eventually stop at certain positions, and you could map those positions. Now, there’s a certain amount of information involved in describing where all those marbles are positioned on the floor. That seems to be a completely random situation. However, if I repeated that, but beforehand I had drawn a map showing all the eventual marble positions, and I dropped the marbles again, and they just happened to end up where I had these dots on my map, not only would I be absolutely astonished by that, I would recognise that as meaningful. I would think something’s going on here. And yet, in terms of Shannon Information, exactly the same amount of information would be involved. One would not be meaningful; the other would be meaningful. JC: Right, so to move on then to these evolutionary program: they are claiming to produce meaningful information in the sense of biologically viable organisms. That’s what we mean by meaning in that context. And you’re saying, there exists no mathematical model of Neo-Darwinian evolution that stands up to scrutiny, no model that describes this real generation of specified complexity, meaningful information. There are models: EV, Avida that you discuss in the book; none of them is successful. So, you say that, because of your analysis, these models are showing something of embedded knowledge or active information, some sort of input that’s necessary for any of these models even to have a chance of working. Could you talk us through how you go about showing that that is the case? attempting to exploit. There are a couple of places I could go for explanation. Let me go with iterative design. We want to come up with a design, and all design is basically iterative. Do you guys have WD40? RM: Ok, WD40 is so named because it took 40 trials in order to get the result. Formula409 took 409 results. Now, finding that result is dependent upon the domain expertise of the designer. If somebody from hisghSchool, who had just taken a chemistry class, tried to invent WD40, we would probably be calling it WD9000, or something. JC: Ok, so when you say domain expertise, this is somebody who is trained in that particular area of study? JC: No, never heard of him. a Rubik’s cube which he twists and sets it in front of the sighted guy, and says: “Is this it?” And the guy looks at it and says: “No”. So he takes it back and twists the Rubik’s cube once more and again puts it in front of the guy saying: “Is this it?” And the guy goes: “No”. Now, that’s a literal example of a blind search. There’s no domain expertise being employed to solve that Rubik’s cube problem. Another one is in the great movie Dumb and Dumber. By the way, if you go back to the Rubik’s cube there is a chance that the guy might solve it, right? JC: Is it Jim Carrey, by any chance? funny, is because we know the chance of that happening is so small that it will never happen. And, the more complex your design is going to be, the more complexity that you want out of your final search program, the more difficult that problem is going to be. So, domain expertise embedded in the programme is absolutely necessary in order to get you to the end result. RM: Yes. In fact I think William Dembski refers to that as probability of the gaps, and it’s an apt description. Let me tell you what we did. We wanted to come up with a probability that would have everyone saying: ‘No, that’s impossible.” And if the probability of something happening is so small that it can’t be comprehended, then we can announce it as being impossible. That’s something referred to, by the way, as Borel’s Law. It actually isn’t a law; it’s more of a rule of thumb, if you will. As I type, there is a chance that my thumb will quantum tunnel through the space bar when I hit it; it’s a finite probability. But I can do that forever [and tunnelling will never happen].. So, how do you come up with a probability that is inarguably so small that it can’t be questioned? that length.) Then, we multiplied the number of Planck cubes in the universe times the number of Planck times since the beginning of the universe, and we got a number, and we said: “Look, if there is one chance in all of this happening, then no, it’s impossible..."
there’s ten to the thousand universes. And we'll assume that each universe is like ours. So we'll take whatever the Planck-cube-Planck-time number is and we’ll multiply that by ten to the thousand. That way we'll have all sorts of probability." Now, I don’t think anybody can argue that one chance in that big number is ever going to happen. Yet, we were able to show that in a simple problem of choosing random letters in order to generate meaningful phrases one could not even—and this is going to sound amazing, and you have to look at the book for the mathematics, because the results are mind-blowing, but the mathematics are totally solid—one could not even generate a document as long as the Gettysburg Address with that information content. So, yes, there can be a probability, but, you know, it’s like my thumb quantum tunnelling through my space bar, or one chance in all these big numbers. JC: As you say (and I love thisphrase): “There’s a chance of the gaps”. RM: I think Bill Dembski refers to it as probability of the gaps. JC: Probability of the gaps, yes. evolutionary algorithms, which purport to show that the system itself can generate the information necessary, so that it's not a useless blind search, but rather a quasi-intelligent search that’s going on in nature. But, you say these evolutionary algorithms are not really doing that; they are smuggling in information from the programmers in every case. So, how do you actually show that that’s the case? results that were achieved, and we can literally measure the distance between the two, and we can do it in bytes. That’s something called Active Information, which Bill Dembski and I introduced in an engineering paper back in 2007, or something like that. JC: OK, so when you take these things like Avida, EV and the others that are out there, they seem to fair better than a blind search. How do you go about showing that the reason why they do so is because they’ve had active information put into them in some way? Whether that’s done deliberately or unintentionally, that’s your claim. RM: Well, I don’t believe that any of the people that write these programs do this on purpose for the reasons of deceiving. I think that they’re simply numbed by the familiarity of evolution. They say: “Well, yeah, it needs to be there.” In EV, for example, there’s one element in there that tells you: "You’re getting closer. You’re getting closer. You’re getting closer to the answer that I have designed in my program for you to achieve." Here’s an example. If I were to hide an Easter egg in the State of Wyoming, and I said, "Go find it by blind search", you would have a big problem finding it, because Wyoming is really big and the Easter egg is really small. But, if you have a kind person with domain expertise telling you: "You’re getting warmer. You’re getting warmer", or "No, you’re getting colder" and "Now, warmer again", that person with his domain expertise would guide you towards the egg, and you would find it in a finite amount of time. Without that expertise, you couldn’t do that. the expertise that is placed within the algorithm. JC: So, when you point that out, what’s the response of EV theorists? Do they come back to you and say: “Well this particular component of the program which has put in the active information corresponds to this aspect of Neo-Darwinian theory.” Do they come back to you? RM: Well, they do, because some people say: “Well, that’s just the way nature is.” Ok, well, if that’s the way nature is, then nature is supplying information to guide the evolutionary process. So, fine, I would agree with them. We have found, in general, that the writers of these programs are strangely silent to our criticism, and usually that isn’t the case. When you write something that even smells of Intelligent Design, you get all these new atheists coming out and really trolling you. No, that doesn’t happen. The bigger problem is that the results have not been popularised. Therefore people are doing this again and again and again. We have written a number of papers where we actually go to a popularised evolutionary program and say: “Ah, not only does it have this active information, but here’s the source of it.” And then another paper comes out, and we say, "Here’s the active information, here’s the source of it." So the problem is it’s repeated. I think, when people find out, it’s going to impress them. Until then, I think we’ll see another bunch of wasted papers. JC: What confuses me about this is, when (or if) they do come back to you, what part of Neo-Darwinian evolution could they point to as a source of this active information? RM: That’s a good question. I don’t’ think that they have a solution. They can say that’s the way it is. You mentioned the anthropic principle. I think they say this is the biological equivalent to the cosmological anthropic principle, and, you know, "Gosh, if this wasn’t the way it is, we wouldn’t be here to know to write some papers about it." So I think that’s a kind of response also. JC: It's a kind of circular reasoning. It does smack of that, anyway. You mentioned the NASA antenna. This has been produced by evolutionary processes, but you say that example also involves active information? RM: Oh yes. Well, here’s the thing: engineers design things. That’s the reason, I think, that most engineers are more friendly towards Intelligent Design than other people. We know what goes into design. But, for the evolutionary development of the antenna, they needed domain expertise, and what they did was to bring in this software that analyses the response and the characteristics of the antenna that they were trying to synthesise, and so it’s just like “you’re getting warmer, you’re getting warmer, you’re getting colder, you’re getting colder” every time a new design potential is presented by the computer to this software. It says: “Ah, this is getting better, you’re getting warmer, you’re getting closer to the solution.” And so, basically, the computer allows us to explore numerous solutions to a design problem. And the computer lets us walk through those very, very quickly. One of the ways to walk through them very, very quickly is using evolutionary programming, and that’s what they did. But, the domain expertise was: (1) the use of that [domain smart] software, and (2) the knowledge on how to guide the design of the antenna using this software. JC: And you also discuss a little bit Richard Dawkins in your book and his step-by-step approach that he talks about in his various books. I was very interested that you did that, because having read a couple of books by him in previous years, I was struck by a kind of suspicious thing that he’s doing there sometimes. I remember in The Blind Watchmaker he had these computer creatures that he’d created on his computer that he said could evolve step-by-step into new creatures by random changes plus selection etc., and they were gradually following an evolutionary pathway to a creature at the end of the process. And I did think, "Well that works on your computer, but how does that actually map onto reality? Why should I think that any of those creatures would be viable creatures in the real world?" You know, "Aren’t you just assuming the vaibility of these pathways you’re describing, because you already believe in gradualism? You already believe in step-by-step processing." You seem to be offering a criticism a little bit like that in your book. RM: Well, yes, I think the most popular Dawkins thing is the phrase: “Me thinks it is like a weasel”, which he took from Hamlet. What Dawkins did, if that’s what you’re referring to, was to apply a little evolutionary program, where he applied the three steps of classic evolution: mutation, repopulation, survival of the fittest, repeat. And he kept on doing that. But, you will notice that in that process of determining the survival of the fittest, every time he was able to ascertain how close he was to his target. In other words, he had a goal in mind. Another thing Neo-Darwinian people say is that you don’t have a goal in mind. Well, as it turns out, all the algorithms published by the Neo-Darwinians have a goal in mind. But, Dawkins had a goal in mind too, and what he was doing at every step by determining the fitness was saying: “Ooh, this one’s really close; this one is far away; this one is close too”, and so he was doing exactly the same thing as the Easter-egg hunt in Wyoming. JC: It doesn’t really prove anything, does it? Because it doesn’t mean there’s necessarily going to be a viable organism in the real world that will correspond to that stage in the process. RM: Ah yes. Well, that’s another thing, which, I think, a lot of the people who write these program ignore. Every step must be functionally viability. For example, every step in Dawkins’s simulation is not a meaningful phrase in the English language. It would die in the evolutionary struggle, so there has to be functional viability at every single point in the evolutionary process. JC: Fascinating. Now, I want to ask you about this notion of the Conservation of Information, which you suggest places a limit upon what these evolutionary program can do, and are likely ever to do. Could you give us an idea of what the Conservation of Information means? change the fitness, and you go to a third point,” but the scheduling of those changes in fitness makes the problem much more difficult, and much more unlikely, to occur by chance. Those are the two basic ideas. JC: That brings us onto this rather difficult notion of the Search-for-the Search. I do want to ask you just briefly about this, because you’re saying that the algorithm might have to be tweaked here and there in order to accommodate the next stage of evolution. It seems therefore, that we’re looking for more and more information to be input in order to make this series, or instantiations, of the computer program to work. But you say in the book that searching for these ‘searches’ is expensive in terms of information, and in fact can be even far more expensive in terms of information, so if you’re searching for the perfect search that’s a terrible situation to be in. Do you want to say something about that? RM: Yeah, it is a terrible situation. Most computer scientists that do search algorithms have their own favourite catalogue of searches. If you look at the number of search algorithms, they are enormous. You have – let me see if I can rattle some off – you have Particle Swarm, you have Steepest Descent, you have Evolutionary Search, you have something called Taboo Search. There’s a list of them in the book. I think we list about eighty different possible searches. And the question is: Which one of those searches are you going to use? The best you can do is, again, to go to your domain expertise and say, "For this sort of problem, this sort of search algorithm works very, very well." But suppose, on the other hand, that we were able to give the computer the job of searching for the search, and so what we want to do is to look through all those different search algorithms and choose the best one for the problem that we have. It turns out that that searching for the search is exponentially more difficult than the original search, so you can’t kick the can down the street. As you search for the search, (and I guess you could search for the search for the search—we’ve never thought about that!) there’s a regress; it's exponentially more difficult. JC: So, it doesn’t matter where you go with analysing the situation, you keep coming back to intelligent input, and if you don’t have intelligent input, you’re just presented with a bigger and bigger problem to do it in a blind way. RM: Yes, exactly, yes. Imagine doing a blind search for an algorithm which has a certain amount of active information. That makes the blind guy sitting next to the sighted guy with a Rubik’s cube look like a genius, because that is going to take forever squared. JC: And some kind of Neo-Darwinian search for a perfect Neo-Darwinian theory? That’s unimaginable. RM: It is, it is unimaginable, absolutely. I was writing a computer program, and one of my colleagues here, Randall Jean, came in and asked me what I was doing. I told him I was writing an evolutionary program, and he says: “Oh, great, when can I talk to it?” His response really humorously illustrates the Basener’s Ceiling idea. That evolutionary program was going to do exactly what I wanted it to do, and it would do no more. That is also true of all the programs that have been generated by the Neo-Darwinists to purport illustration of Neo-Darwinism. JC: OK, well let me throw a couple of challenges at you. Some might say you’ve got a false dilemma. Neo-Darwinian processes are not working here, so you’re saying: “Ah, well it’s intelligent design.” But is there not a third way? Some are pointing in the direction of a kind of Neo-Lamarckism, and saying: “Well, what about the possibility of epigenetic processes that might be helping to drive evolution?" Maybe there are stable traits that are inheritable that can’t be explained by DNA changes. They’re sort of in addition to DNA sequence changes. Maybe these epigenetic processes can be used to explain evolution. Is there anything to that, do you think? RM: Well, the question is, where does that information come from eventually? Is that something which has been generated by chance, or whatever? I have been following the work of James Shapiro at the University of Chicago—who is not a proponent of Intelligent Design—but his work on epigenetics is, in my mind, just jaw-dropping. Again, I’m not a biologist, but I know enough to be dangerous. Shapiro’s exposition says that: Yes, in the cell there’s a teleological purpose for the cell. In fact, cells will do things which aren’t used for a few generations down the road, and that there is this idea of ‘targeting’ in the process. These things in epigenetics are just mind-numbing [mind-blowing]. And, again, if you have this epigenetic thing working, you have to ask: Where does that information come from? What is happening here? Why does it happen? It’s kind of the verb, if you will, with the noun of DNA. So, you have all these processes, which are happening. And—man!—getting the process to happen, that’s a rough design problem in itself. JC: So, that wouldn’t get rid of the information problem; it would just demand an explanation, and it would be subject to the same kind of analysis? RM: Yes, exactly, that’s my understanding, and in fact I think Shapiro uses the term genetic engineering which happens in the cell, and they’ve had to develop an algorithm, a procedure, to do these things. JC: Something to watch, certainly. Ok, what about the other one, which I’m calling the [Stuart] Kauffmann approach. So, this would be more the idea that there are self-organising principles taking place within biology in addition to Darwinian natural selection. So, maybe these self-organising ideas can help to provide the active information that’s necessary? RM: Well, I am somewhat familiar with Kauffmann’s work. (I don’t know whether you’re familiar with Stephen Wolfram and his book A New Type of Science, where he explores some of the same sort of things?) But, Kauffman has been a big proponent of artificial life where he looks at finite-automata and interacting rules. I’ve talked about this with my colleague Keith Schubert here – I mentioned he does work in extreme environments where there are life forms that exist in sulphur caves – and he’s using these approaches to attempt to model the life that exists there, and his comment is that these sort of things happening are basically probability-of-the-gaps sort of arguments again. Yes, you can get these sort of things, but show me! I maintain there exists no hard-science model of Neo-Darwinian evolution. If that’s wrong, and Kauffmann is right, I would like to see it. I think Kauffman actually admits to the fact that there needs to be a guiding force behind even his work. RM: I don’t remember where I read that, but Kauffmann has a chapter in a book that I edited with Michael Behe and William Dembski – he’s very critical of Intelligent Design of course – but I think he’s honest in his critique of the limitations of the procedure he’s using. JC: So, if Kauffmann’s right, that wouldn’t be Neo-Darwinianism properly, anyway, would it? RM: Well, you have to ask what guides the sifting property. It does turn out that in any search, in any process where you develop the specification, there’s always randomness. You have randomness in evolution, for example. Evolution has mutation – that’s a stochastic phenomenon – and there are ways of applying probability in these search algorithms to shake yourself out a local minima to get better and better and better. But still you have to have an idea, and you have to have a guidance in the sifting property to arrive at your final result. There has to be a guiding force, and that is something that seems to be common to everything in evolution, as I understand it from biology. That's certainly the case from an engineering/computer science point of view.. There needs to be something guiding the process. So, if Kauffmann is right, there still needs to be guidance there. JC: Yes, that would still need explanation. Before we move to the last section, which is to do with Artificial Intelligence—which related to what we’ve been talking about—I want to ask you a couple of questions about the other excellent book I read just before yours, Being as Communion: A Metaphysics of Information by your colleague William A. Dembski. There are a couple of very interesting – well, many interesting – thoughts, but these are the ones I want to ask you about. The idea that information may be fundamental, that is, as far as I understand it correctly, in the final analysis when we’re investigating the ‘stuff of nature’, we never really arrive at a fundamental knowledge of what matter is. Instead of that, we’re presented with layers and layers of patterns and relationships, which may be described in informational terms. Therefore, maybe reality is fundamentally information. What do you think of that idea? RM: Well, Roger Penrose recently had a comment that reality is, he thinks, in some ways strangely related to consciousness, and that this reality doesn’t come out until there is an observer, because it always takes an observer to collapse wave functions. So that’s something I’m very interested in, and am going to read up on consciousness being a part of reality. I do agree with Bill (Dembski) that information is foundational to our universe. I gave you the example of the Komogorov or KCS sort of information about the 3-dimensional printer that printed out the bust of Churchill and the bowling ball. That, in itself, is a way that I think can be universally applied to measure the complexity of everything in the universe. You measure it by the programme that generates it, and if there’s a program that generates it, there’s a shortest program that generates it, and the shortest program is something known as the object’s Komogorov Information Content. Chaitin calls them elegant programs. There is a shortest program to generate the bowling ball. There exists the shortest program to generate the bust of Churchill. That describes the complexity of the object. Then, you have to fold in some of the ideas of meaning into the object, and meaning must come from context, and that’s something that Winston Ewert has pioneered. He has actually come up with a way to measure the meaning of objects, and that meaning can actually be measured in bytes. The results are really incredible. For example, getting a Royal Flush using a deck of cards in a game of poker has a lot of meaning. We can actually measure the meaning associated with the Royal Flush in the context of poker and measure it in bytes. It also answers the question of complex things existing all the time. We apply Winston [Ewert]’s theory to one snowflake, and there’s nothing remarkable about it. Snowflakes are very complex, but they don’t have a lot of meaning. Even looking at two different snowflakes doesn’t have a lot of meaning either, but if you apply this theory to two identical snow flakes, all of a sudden the meaning, the algorithmic specified complexity, goes up. So, this is a theory that is developing. I actually have a student here that’s looking into some other aspects of algorithmic information theory and its possible applicability to data mining. It’s just a fascinating area. JC: Yes, indeed, and I was fascinated by what you said about somebody theorising about collapsing of the wave function with respect to reality itself, and consciousness being involved in this. And I was thinking what William Dembski at least seems to be moving towards in that book is the notion that the universe might actually be mind-like. I don’t think he means in a pantheistic sense, but more like the product of mind, a thought perhaps, maybe thought – a really interesting thing to explore. Do you have anything to say about that kind of thinking? RM: Well, it’s simply, as I understand it, that the outcome of an observation doesn’t happen until the observation happens; that’s the collapse of the wave function. There’s a fantastic theorem called Bell’s Theorem. I always used to wonder about this with pre-destination versus free will. My father explained it to me with a question: “If you have a hole and you dig a ditch, is the ditch there and you just took the dirt out, or are you creating the ditch?” That was his simple explanation, and it really captures the idea of the [free will versus predestination]. And frankly it doesn’t matter. But there’s been work done for when a wave equation collapses. Has the reality existed there before you looked at it, and you’re just removing a cover from that reality? Or did you actually create something random? It seems like that ditch sort of analogy, but as it turns out, it isn’t. Bell’s Theorem came along and gave an experiment, which has been done without loopholes in the past few years to show that: No, what is created is random; it didn’t exist there before. So, it’s a creation of a few bytes of information, if you will. This happens all the time, and every time we observe something and these wave functions collapse, we have new information on the universe; it’s just astonishing. JC: And perhaps this is pointing in the direction of Mind (with a Capital ‘M’)—or God, we would say from a Christian perspective—actually collapsing, as it were, the massive wave function, which is the reality in which we live. It’s certainly an interesting thing to think about, isn’t it? RM: Well, I think one of the interesting questions, which my colleague Keith Schubert—a really great Christian—pointed out: Who was the first observer? Who is the first observer that started reality ex nihilo? I don’t know how relevant it is, but it sure is fun to think about. JC: Absolutely, and of course your example there with digging the hole reminded me of Winnie the Pooh and Piglet moving a hole from one place to another having dug it! Lastly, just briefly, Artificial Intelligence is another issue discussed in the book. You say that Artificial Intelligence will never, in your view, match the creativity of the human mind, and it will never be truly conscious. This is very interesting because we are frequently being warned to be fearful of artificial intelligence, not so much how it might be used by human beings, but precisely because of the possibility of its own self-awareness and creative intelligence. You challenge that in the book. Tell us why? RM: Well, again, this is going ba ck to fundamentals. It turns out that the Turing machine can only do algorithms; it can only perform recipes. A recipe is an algorithm like when you bake a cake: it tells you what to do; when; how many eggs to add; how to whip it up; how long to put it in the oven. So, it’s a sequence of steps, And that’s exactly what an algorithm is. Now, the original Turing machine could only do algorithms. It turns out that what can be done on every computer today can also be done on Turing’s original machine. It might take 500 times as long, but it can still be done on Turing’s machine. The take-away is that computers can only do things algorithmically. We have a number of examples of things that are non-algorithmic. From the nerd's perspective, there's the so-called Turing Halting Problem, which I won’t go into, but there are many solid examples. Some more interesting examples, purported by Rodger Penrose, have to do with the creativity we see in human beings. Remember I said that an evolutionary computer program that was supposed to learn chess would never go on to give you financial advice? It does what it was programmed to do, and so it stops there. And there are numerous examples, both in science and in the arts of this so-called ‘flash of genius’ [above Basener’s ceiling]. Friedrich Gauss, who was a big mathematician, said that he got an idea like a sudden flash of lightning and the riddle was solved. Nikola Tesla said the idea for the alternating current machine just came to him out of nowhere, and he was able to sit down and famously write his diagram of the machine in the dirt. And even in the arts. (This is going to sound funny, going from Nikola Tesla to the Beatles!) But Paul McCartney said he woke up one morning and had this tune running through his head, and he thought: “I couldn’t have written this. Where did this come from?” and it was the tune for Yesterday. It had come to him in a creative flash. In the United States it used to be the law that you had to have had a flash of genius before you received a patent. They’ve removed that terminology, but it is this creativity, and the implications of this are more than just the mind not being a computer. But I think that if one were to take these non-materialistic ideas they would have application all over the place. And that’s something we’re exploring right now with one of my students. JC: I just have one comeback on that. So, Paul McCartney says he woke up and had this idea. You’re saying that’s a flash of inspiration. But couldn’t you argue that, in fact, his brain was working various algorithms while he was asleep? While he wasn’t conscious of it, up came the idea, but it was robotically created while he was asleep. RM: Well, I will tell you that so far there has been no computer program that has ever generated anything creative. They do exactly what you tell them to do. Now, some of this deep learning stuff has come up with some interesting things about composing music or composing plays. The plays are terrible. Have you seen them? JC: No, but I heard an example only a couple of weeks ago on the radio of a piece of music that was supposedly composed by Artificial Intelligence. There was a big headline about it, but while I was listening to it, I thought: "It's well crafted,but actually it’s exactly the kind of thing I would expect an early 21st Century classical music composer to have written." And I thought to myself, "They’ve programmed it to do that." RM: Exactly, exactly, and that’s also the case with these plays that they’ve come up with. There’s one on YouTube where they’re acting out this play that was supposedly written by a computer, but you go to the transcript, the script for the play, and it’s embarrassing. It says [something like]: The guy’s head was in the clouds—he was at the window—he takes the shotgun off the wall and puts it in his mouth. All totally disjointed phrases, but if you watch the play, the actors make it look so smooth that it looks as though it might have something to it. But no, I would challenge anybody that said that they have computers that generated something creative. If they do, and can prove it, that’s fine. I believe that creativity, getting back to the fundamentals, is non-algorithmic. You cannot write a step-by-step procedure to do creativity, and computers are limited to algorithms. JC: Right, so you’re saying it’s in principle impossible, not that the computing capability is just not that advanced yet? RM: No, because, again, there’s something called the Church-Turing Thesis which says that everything we can do on any of the computers we have today can be done on this original Turing machine done in the 1930s on the back of an envelope by Alan Turing. And so they’re all equivalent. And so, if Turing’s machine couldn’t do it, none of the computers we have today is going to do it. By making it faster, or increasing the memory and so forth, we’re going to get more interesting results, clearly, but we’re still not going to get creativity. JC: Fascinating indeed. But this does not necessarily mean that we should have no concerns about Artificial Intelligence, because we can still ask: “Well, who’s going to be in charge?” With Artificial Intelligence you still have the human element to worry about, don’t you? computers, we have the same sort of thing: we have loss of privacy; hacking problems; we’ve got malicious attacks, especially the few that we’ve heard about recently, but then there are the positives. My goodness, we have all the world’s knowledge at our fingertips! It just blows my mind. So, anyway, it’s like with any new technology, there’s going to be good and bad. But the idea that a computer will be conscious, that it will understand people or understand things, is just not going to happen. well worth engaging with. I do recommend the book Introduction to Evolutionary Informatics by Marks, Dembski and Ewart, which is published by World Scientific, and is available, of course, from other booksellers, including Amazon. Please don’t be put off by it, even if you’re not all that keen on mathematical symbols and the like, because there are still plenty of illustrations so that you get the flow of the argument. It’s even very entertaining in many ways with sections describing how to get the perfect pancake, which I was going to ask you about, but it didn’t happen in the conversation. Let me also recommend what I’m calling the companion book to this, William Dembski’s Being as Communion. It's more philosophical and theological, but very much draws on the kind of research discussed today. Just before we close, Dr. Marks, if people would like to find out further information about this work, should they visit the Center for Evolutionary Informatics? RM: Yes, the Centre of Evolutionary Informatics is a non-profit which supports people doing research into the sort of the things we’ve been talking about now. But the place to go for information is EvoInfo.org. My wife doesn’t like it because she says it sounds like evil—evil info—but it isn’t evil. Now, there, if you want to make a donation, I think you can. But more importantly, if you want to dig deep—if you’re a true nerd and want to go into the papers—all the papers are posted there. You can download them and look at them in PDF format. What we try to do in the book is to gather all these papers and present them in a way that the non-nerd can understand them. Hopefully, we’ve done that in Introduction to Evolutionary Informatics. JC: Wonderful, and you have a FAQs section on that website, but if people do want to ask you any further questions, is that possible? JC: And would you be happy for me to include that in the show notes? RM: I’d be honoured, yes. JC: Wonderful. Well, it’s been wonderful to speak to you Dr. Marks, indeed a nerd of your calibre. It's been an absolutely fantastic conversation. Thank you very much indeed for coming on the show. RM: OK, Julian, thank you very much. It was really an honour, and it was a lot of fun for me too. 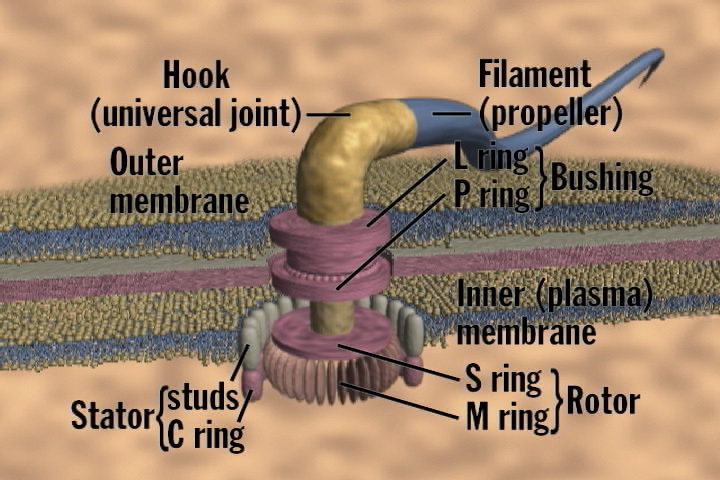 Bacterial Flagellum: "flag_labels.jpg", copyright © Access Research Network (http://arn.org), all rights reserved; reproduced here with kind permission. Rubik’s Cube by Booyabazooka (based on Image:Rubiks cube.jpg) [CC-BY-SA-3.0 (http://creativecommons.org/licenses/by-sa/3.0/)], via Wikimedia CommonsWikipedia. Disclaimer: The views expressed by Dr. Robert J. Marks II in this interview are his responsibility alone; they do not necessarily reflect those of The Mind Renewed.